WorkerCheck is a first-of-its-kind background screening program designed to afford today's homeowner an added measure of protection before jeopardizing the family's safety and security by opening the home to contractor personnel with unknown and potentially dangerous backgrounds. Contractors participating in the WorkerCheck program subject each of their employees to a rigorous background check before they are permitted on the job and in your home. Screened workers are ID badged. In our years of experience we have found that our customers prefer an accurate price based on their exact problem. While other companies may quote you an hourly rate that sounds cheap, the workers they send will come out intent on staying at your location as long as they can in order to make more money. Why? Because they are getting paid by the hour. So what's the rush? We don't think this is fair to you. 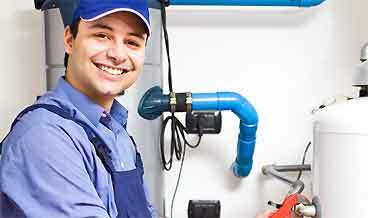 By allowing us to send a plumber to your home for an absolute "free estimate" he can then diagnose your problem in person. Only then will he and you know exactly what it will take to get the job done and the price to do it. Why can you not give pricing over the phone? CALL BACKS- Other plumbers have a "Concrete Guarantee"- when their truck leaves your concrete driveway their guarantee expires! Not with Ernie's Plumbing! With us you have a 100% SATISFACTION GUARANTEE.